TCAT has clenched listing on some of the most leading exchanges in the crypto world and assurs a convenient and comfortable trading experience for users. Good news for TCAT investors. The revolutionary cryptocurrency by The Currency Analytics has grabbed listing in some of the topmost exchanges on the day 1. According to sources, TCAT has bagged listing in Latoken, Exrates, P2PB2B, Alterdice, and LocalTrade. “It’s a moment of rejoice for us”, smiled Mr. Sydney Ifergan, crypto guru and the man behind TheCurrencyAnalytics, while announcing TCAT’s listing on the major exchanges. 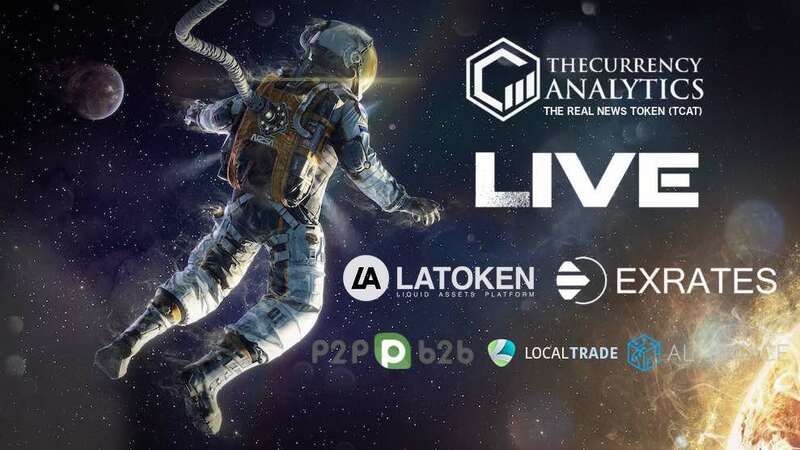 A revolution in the crypto scene, TCAT has been launched with a pathbreaking mission by leading crypto media portal TheCurrencyAnalytics. At its core, TCAT aims to relieve the current crypto media scene of the shackles of misleading and fake news.